EPi understands that you have a vision for your business and corporate branding. Our Rochester, New York based business offers a full-service approach to the printing process. We guide you through the printing process step by step. 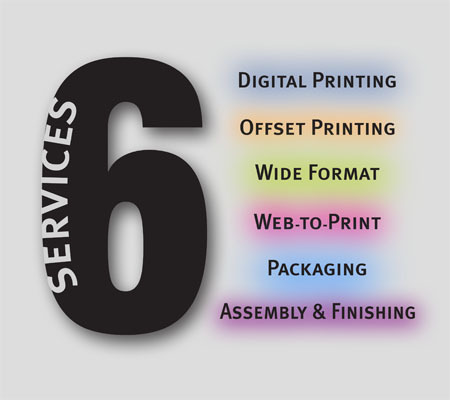 We offer 6 services: digital printing, offset printing, wide format printing, web-to-print, packaging, assembly & finishing. Whether it is the design of your logo, choice of PMS colors or the weight and grain of the paper on which your project is to be produced, EPi works with you to help you create a presence for your business. Our dedicated staff offers endless support in making sure you receive high quality products that ultimately exceed your vision. Enjoy your visit and please come back often! EPi Printing and Finishing is glad you stopped by.